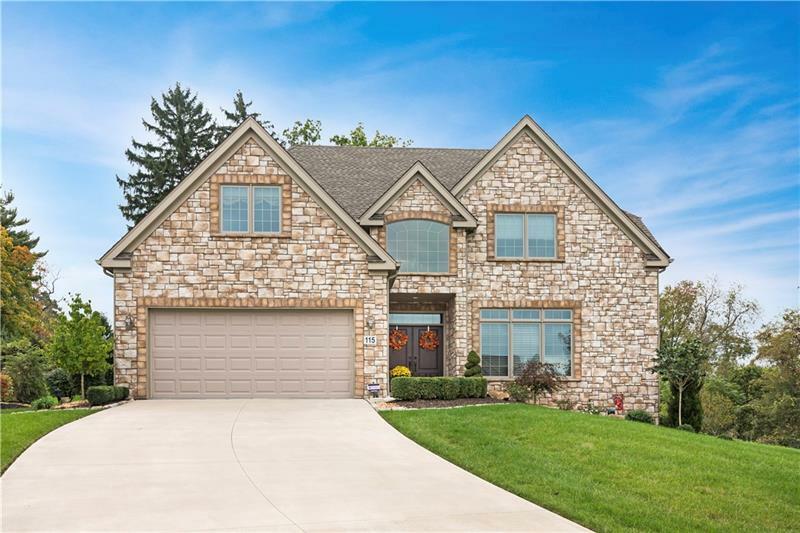 Quality craftmanship & attention to detail were top of mind when this beautiful Moon Township home was built barely 4 years ago. 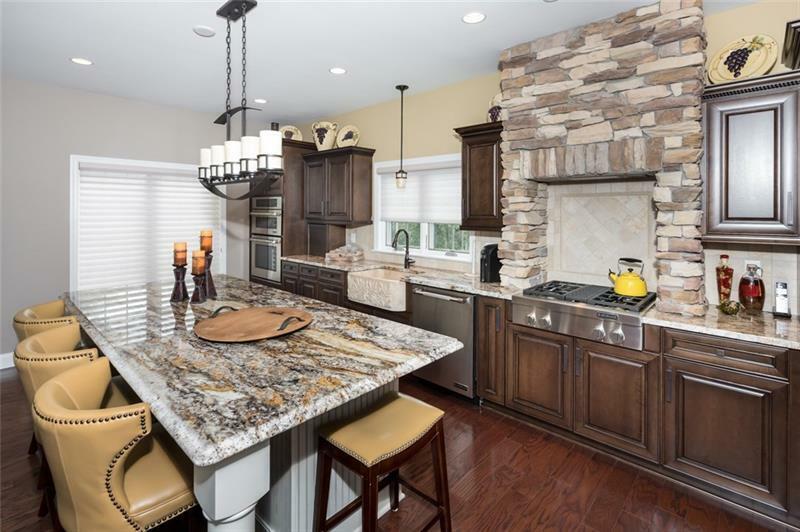 The kitchen features imported Italian granite counters & island, custom stone work, Jenn Air appliances, a walk-in & butler’s pantry. The LR is warm & cozy w/1 of 3 stone fireplaces. Cardello lighting in dining RM & throughout. 1st fl. office w/library & a room to hide the home’s electronics. 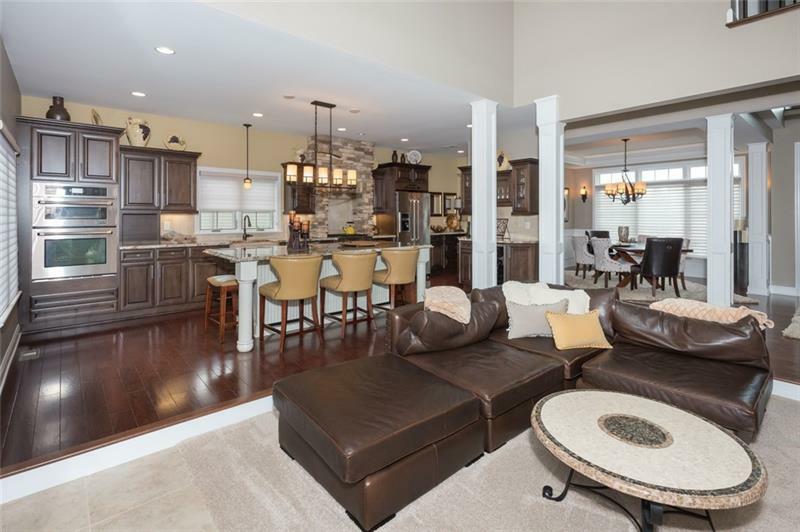 Master BR has hard wood floors & master bath features the most beautiful custom wood cabinetry available! 2 add’l BRs & bath are also impeccably designed. 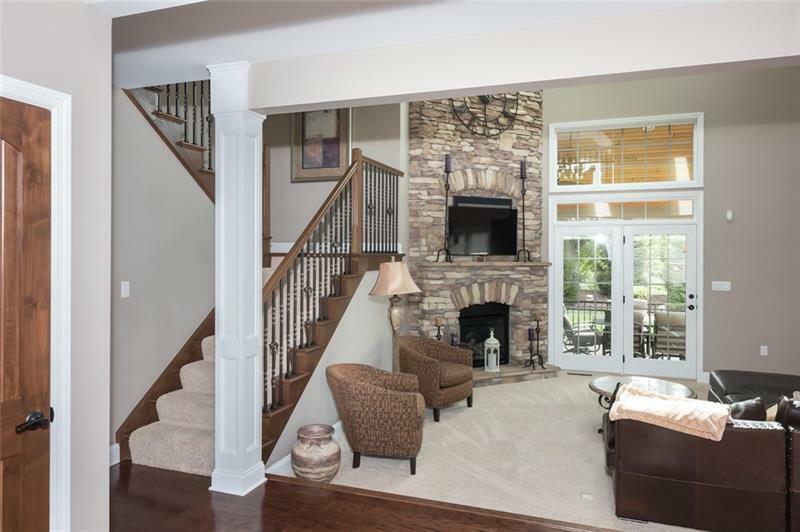 In the basement, there is a full bar w/DW, ice machine & sink & another gas fireplace. Separate wine tasting room featuring a custom ached door surrounded by stone will truly make you want this home. Home gym & full bath in the basement w/steam shower. 650+ SF cedar-ceiling patio with gas/wood burning fireplace & TV. A 1st floor and basement laundry rm. Lawn and snow maintained by community. Truly a must-see home.